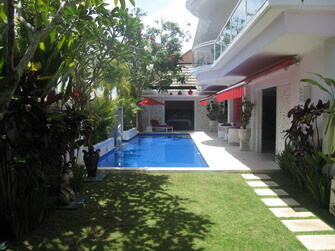 Villa Amore is a modern house located in Seminyak is available for rent in Bali. The building is laid out on two floors and featured with three bedrooms. 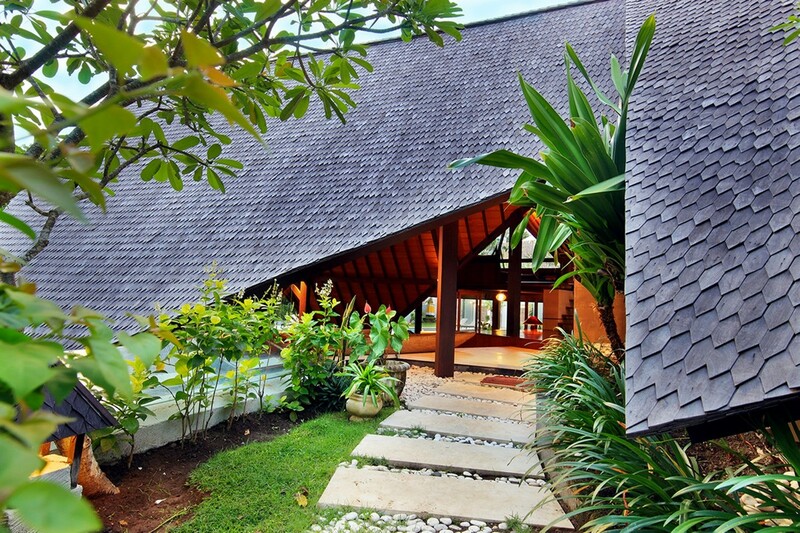 Once you slide the door and step into the villa, you are welcomed by set of cozy sofas in living area and well-displayed of dining table and fully equipped kitchen. 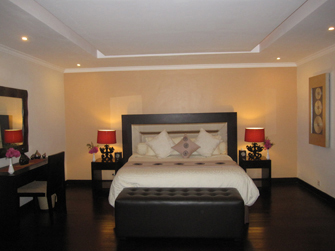 The master bedroom is laid on the first floor with direct access to the pool. 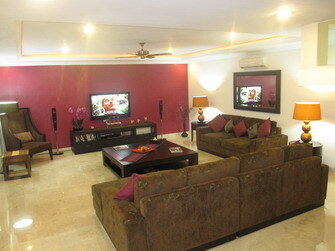 Other two bedrooms are on the second floor and completed by open air lounge where you can relax yourself. 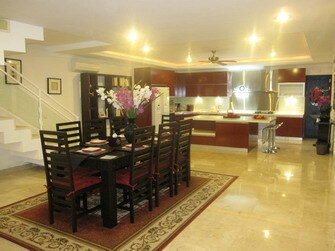 The property is very well-maintained and brings comfort ambiance to everyone. The staff is very friendly and ready to assist you during your stay. 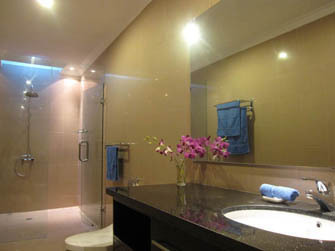 Services available from daily cleaning, changing bed sheet, prepare breakfast, take grocery and laundry. 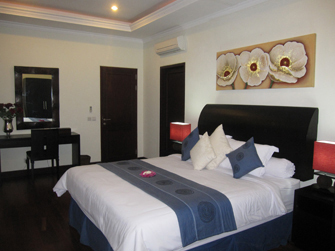 They ensure that the all is going well and that your stay will be memorable. The tropical garden is landscaped beautifully with various green plants. 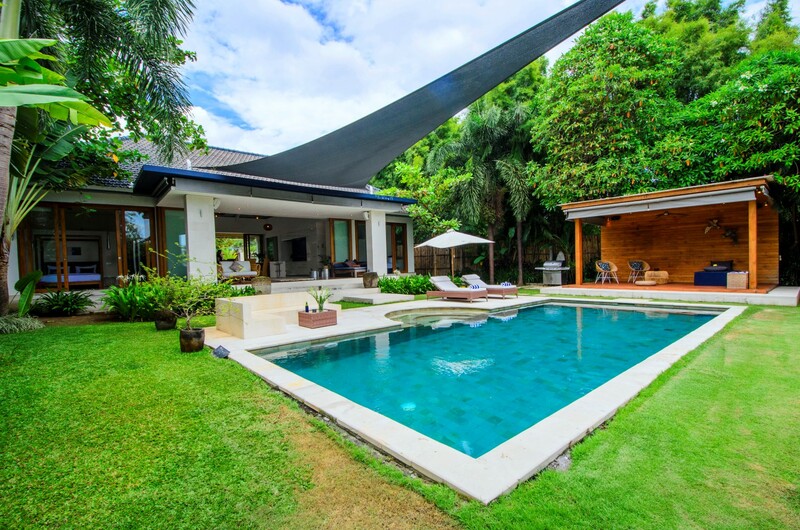 The villa yet brings the nature of Bali within tropical garden and typical flowers surrounding the pool area to the entrance. 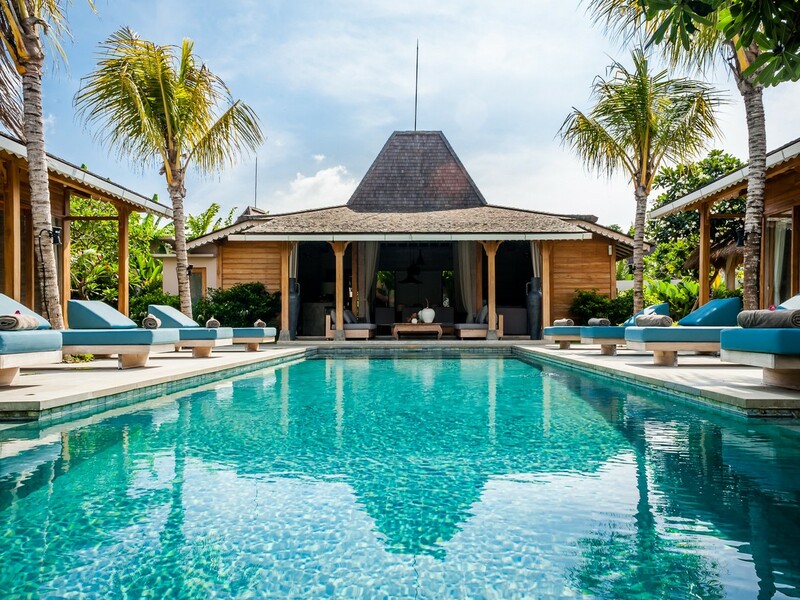 The swimming pool is also the part of the house not to miss to spoil you enjoying the intimate time with family or friends. 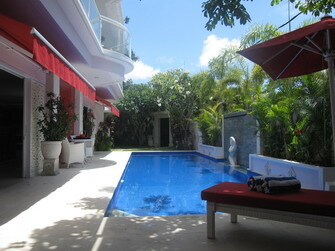 Soak up the sun by the pool at the sun lounge will take you to real holiday with the sun of Bali. 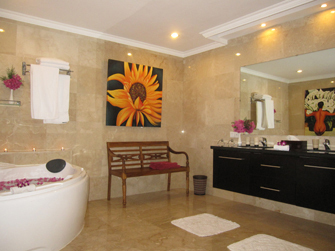 The house is located strategically in Kunti, Seminyak Bali in which the finest restaurants in town are just minutes away. 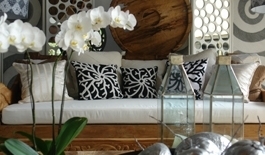 Quiet, secured and tranquil are what the villa promises during your stay. 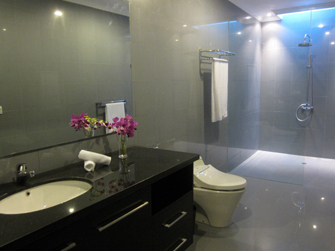 Feel the total privacy with family or friends from the hustle. 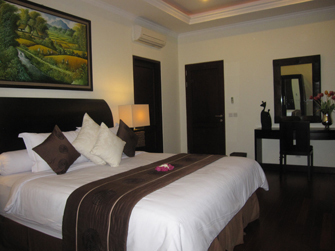 Villa Amore is one of the best recommended lodging in Bali. 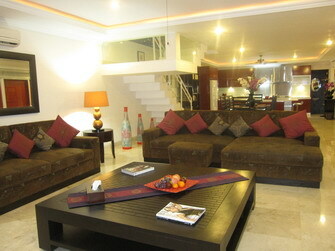 Villa was clean and spacious with a lovely pool area. The location is perfect and we were able to walk to Bali Deli quite quickly. 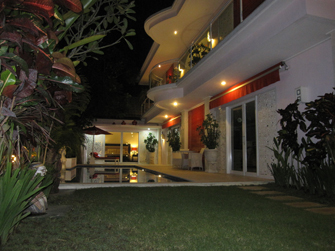 Staff were helpful and we enjoyed the villa so much.